This post marks the first ever editorial on my blog. I have good reason for it as this has not been a good day. Earlier today, I was introduced to a bookmarklet that allows you to search the internet for your own images to see if they are being used somewhere without your permission. What I have uncovered has been no less than shocking and disheartening. Three individuals have stolen my images for use as their avatars. Dozens of individuals have reposted my images on their blogs/websites and have decidedly CROPPED OUT my copyright stamp. No credit, no link back. Several individuals have posted altered versions of my images, mostly adding text and basically, using the image like a background. No credit, no link back. One individual even claimed the altered image as their own. I found three commercial sites using my images – two to sell products and one as the lead logo image for their site. I found two instances where my images were used in YouTube videos. One site is using one of my images as wallpaper. However, the worst offense so far is an English singer/songwriter who has used one of my images for his EP cover. I was never asked for permission nor have I been compensated for its use. I am still trying to come to grips with this one and am currently corresponding with said artist. What can we do? Well, what I’ve been doing is contacting any offender asking them to immediately cease and desist. In some cases, I ask why they have stolen my image without my permission and state they should show some respect for artists who are desperately trying to make a living at photography. I’ve already received several apologies and two sites so far have removed my images. I hope this trend continues. In addition, I am researching ways to prevent future theft. I have found several great resources for protecting images and content (example here) as well as what to do when you do find an image is being used without your permission (here and here). It is good to know there are concrete things we can do to protect ourselves and to fight against this kind of theft. Still working on getting some images removed; others, well, I may have to let be. You will notice changes to my blog with regards to my images. I’m in the process of adding a watermark to each image as well as disabling the inability to click on an image to view in a separate window. Just precautions I’ve been (reluctantly) forced to put in place in order to discourage future theft. This has been a learning experience for sure and I’ll admit, that I didn’t handle this very well but with time, I’m coming to grips with what I can control and what I cannot. Please bear with me as I find my way through this and (hopefully) return back to the happy-go-lucky, optimistic, “the world is good” person that I once was. If you’ve arrived at this page because of a message you’ve received from Pinterest, please know that I feel just awful about having to so abruptly pull off all my images! I never once thought anyone on Pinterest had bad intentions; I simply did not comprehend the widespread damage that would result from having my images pinned. How could any of us know that once on Pinterest, the images could then be downloaded, copied, printed, etc., and used without my knowledge? I have no way of knowing which image you had pinned (there were far too many images and too many pins/repins to keep track of) but if it is one that now has a visible center watermark, you have my permission to pin it again. If it isn’t watermarked yet, please let me know and I will contact you as soon as the watermark is added. I so appreciate that you like my work enough to highlight it! I truly had no idea. And, just as a FYI, I have a Pinterest board of my own and will be adding my watermarked images there as well. Something I have been meaning to do but glad I hadn’t quite gotten to it yet because I would have been pinning my un-watermarked images and oh, boy(! ), the mess I would have placed myself in! This has indeed been a learning experience for everyone, myself included. Thank you for reading and for your understanding and patience! ALL images and content contained within this domain are the exclusive property of Tracy Milkay/Milkay Photography and are protected under United Sates and International Copyright Law. MY IMAGES DO NOT BELONG TO THE PUBLIC DOMAIN AND ARE NOT FREE TO USE OR REDISTRUBUTE! THIS INCLUDES PINTEREST. PLEASE DO NOT PIN MY IMAGES! Thank you. It is against the law to copy, reproduce, redistribute, project, alter, manipulate or use any images or content in ANY WAY without the express written permission of Tracy Milkay/Milkay Photography. In addition, use of ANY image as the basis for another photographic concept or illustration (digital, artist rendering or alike) is a violation of the United States and International Copyright laws. Contact me for permission before saving, using or redistributing ANY of my images for personal or commercial use. KINDLY DO NOT STEAL MY WORK! Thank you. 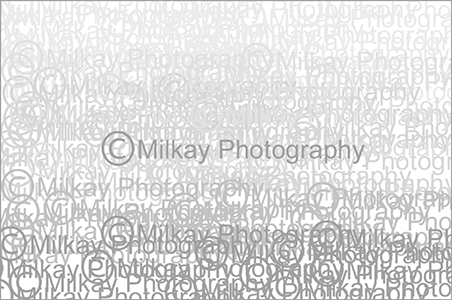 All text and images are copyrighted © 2009-2013 Tracy Milkay/Milkay Photography All rights reserved. Breast Cancer Site – Click to give FREE mammograms! The Rain Forest Site – Free Click to Give!